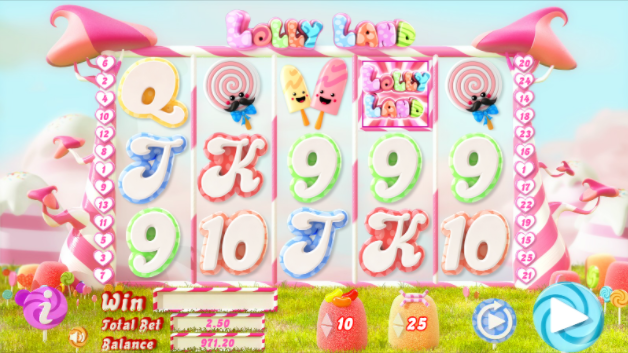 Take a lick of this sugary 5 reel and indulge yourself in tasty online slots. This game employs a slight candy crush aesthetic and has a range of gummy bear bonuses that could be yours if you’re willing to bite the toffee. Although relatively new to the Casino industry having only formed in 2014, Chance Interactive are not to be underestimated for this fact alone as they have established themselves amongst the biggest and most reliable betting firms such as: bet365, PokerStars and NYX. As well as this, they have their own slot-games which offer a vibrant, fresh and exciting atmosphere for your computer, phone or tablet! At Easy we offer a number of slots promotions. 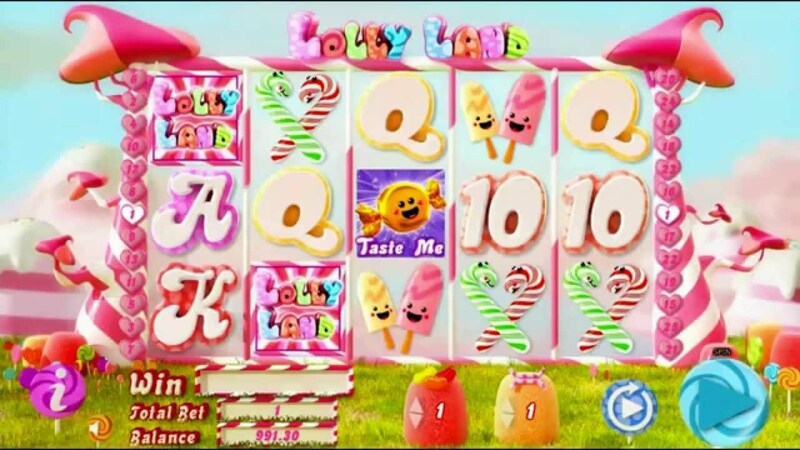 Taking a sweet spin on the well-renowned game Candy Crush, Chance Interactive bring you Lolly Land. Instead of reaching high in the clouds for level 500 and beyond, you can expect to find a sweet-tastic cash prize waiting for you instead! The game consists of the familiar 5 reel, 3 rows and 25 pay lines, and like most slot-games, you are given the option to how many pay lines you want to play at once. With a minimum spend of just 1p and the max £25, there truly is an option for every type of gambler out there. Not to mention, the backdrop is a sweetooth’s dream! Mountains of ice cream, or maybe it’s candyfloss we’re not quite sure! This is accompanied with sky-high pieces of rock, immediately reminiscent of the sticks of rock you would see laid in their thousands at the coast! The higher value symbols on the reel are represented by those sickly sweetie favourites: jelly beans, ice lollies, sticks of rock and a large sweet lolly. Lower values are the standard 9, 10, J, Q, K and A. The Game’s logo and the wrapped sweet are the two scatter symbols and these sweet-tempting symbols activate separate games which you do not want to miss. The logo scatter triggers free spins, with 3 logos landing you 10 free spins, 4 landing you 12 free spins and 5 landing you 15 free spins. Although you may have been used to winning more spins in other slot-games, during the sugar-coated free spins, all your winnings will be multiplied by 2! To add to this, you can combine free spins with the wild symbols and this is when you will see your winnings go beyond those mountains of ice cream and candy floss. The wrapped sweet scatter unwraps a ‘taste me’ round where you will be asked to select one of the sweets on display, picking the right one could leave you with a 100x multiplier! The green jelly bear is wild and substitutes for all others except the two scatter symbols, still meaning that there is a good chance to swap your tooth decay for a sweet fortune! For more information, visit Easy Slots today! We can’t guarantee that your dentist will thank us for this sweet delight, but what we can guarantee is this casino game provides a refreshing atmosphere with its vibrant colours and smooth animations with the chance to win big, and with a starting bet of just 1p, you would be mad to not give it a shot! Top of the league when it comes to slots, visit EasySlots.com!